Going to need more than 60 Seconds to geek out about the 2008 Sarget de Gruaud-Larose from St. Julien. Clive Coates notes in Grand Vins that the 2nd Growth estate Ch. Gruaud-Larose was formed in 1757 when two brothers, one a priest and the other a judge, pooled together their inheritance and purchased adjoining vineyards to create the 116 hectare (≈ 287 acres) property. Wine that was in high regard and commanded prices almost on par with estates like Ch. Latour and Margaux had been produced on the property for sometime prior to the brothers’ involvement. The Gruaud brothers were known for their eccentricities, particularly the judge, who would hoist different flags on the property after harvest to signal what nationality he felt that year’s wines would most appeal to. A British flag would be raised if the wines were going to be full-bodied and firm, a German flag if they were going to be soft and supple and a Dutch flag for a style that was a mix of the two. The magistrate also garnered a reputation for alienating the merchants and négociants with his business practices. 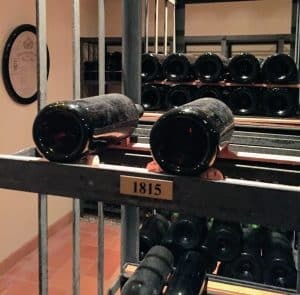 Each year when the previous vintage was ready to be sold, he would go to the market center and set his price for the vintage. If his price wasn’t met, he would leave only to come a few months later with an even higher asking price for his unsold wine. In what seems like a foreshadowing of the future tranche release and en primeur systems, M. Gruaud would keep raising his price until eventually the merchants capitulated else wise the price would be higher the next time he returned. In 1778, the property passed to the magistrate’s daughter and son-in-law, Joseph-Sébastian de La Rose, who affixed the name Larose to the estate. 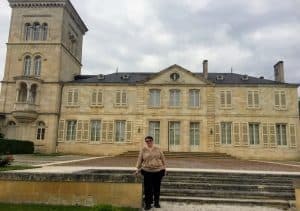 Larose would also go on to establish the large Haut-Medoc estate of Ch. 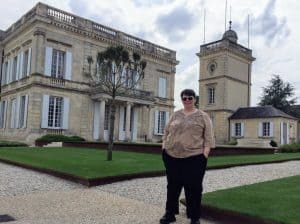 Larose-Trintaudon located on the border of Saint-Laurent and Pauillac. The estate would change hands multiple times and in 1867 the two families who jointly owned the property split it up into two estates–Ch. Gruaud Larose Sarget and Ch. Gruaud Larose Faure (sometimes labelled as Ch. Gruaud Larose-Bethmann). The two estates co-existed until the early 20th century when the Bordeaux négociant family of Cordier bought first the Sarget portion in 1917 and then the Faure portion in 1935 to reunite the two properties. Founded in 1877, the Cordier négociant house became a significant player during World War I when they landed the exclusive contract to supply the daily wine rations for the entire French Army. 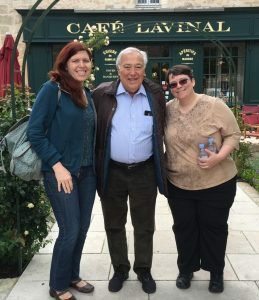 Flushed with income, they were able to acquire numerous estates over the next several decades beyond Gruaud-Larose, including the St. Emilion estate Clos des Jacobins, the Premier Grand Cru Classé Sauternes estate Ch. Laufarie-Peyraguey, Ch. Meyney in St. Estèphe, the 5th Growth Haut-Medoc estate of Ch. Cantemerle and the 4th Growth St. Julien estate of Ch. Talbot. 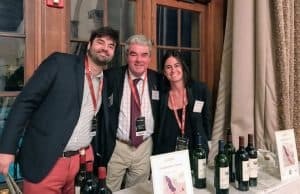 Today, Gruaud-Larose is owned by the Merlaut family under their Taillan Group which also includes the 5th Growth Pauillac estate of Haut-Bages Libéral, the 3rd Growth Margaux estate of Ch. Ferrière, Ch. Chasse-Spleen, Ch. Citran and several others in Bordeaux, the Loire and the Rhone. 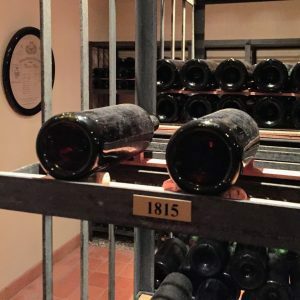 Bottles from the 1815 vintage of Gruaud-Larose in the estate’s cellar. 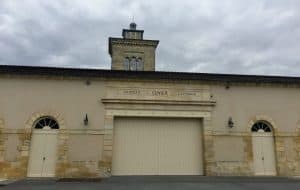 While still a large estate by Bordeaux standards with over 200 acres planted to vines, Ch. Gruaud-Larose has seen it size reduced somewhat since the 18th century. However, it is still one of the few estates whose vineyards have remained relatively the same since the property was classified in 1855. The majority of the vineyards are on the southern side of St. Julien between Ch. Lagrange and Ch. Brainaire-Ducru. There is a parcel further west next to Ch. Talbot and another plot of vines located on the boundary of St. Julien and the commune of Cussac, across the road from the Haut-Medoc estate of Ch. Lanessan. While the average age of the vines are 40 years old, the estate owns several plots that are more than 100 years of age. All the vineyards are sustainably and organically farmed with around 100 acres farmed biodynamically. Jeff Leve of The Wine Cellar Insider notes that Gruaud-Larose is unique in St. Julien for not only having the most clay soils in the commune but also for being located at the highest elevation on the St. Julien plateau. After the retirement of winemaker Georges Pauli, Eric Boissenot has served as consultant for the estate. Ch. Gruaud-Larose produces around 540,000 bottles a year with about 45% of the yearly production being declassified to the second wine of Sarget de Gruaud-Larose. Named after the mid-19th century owner, Baron Jean Auguste Sarget, the wine spent 18 months aging in 30% new oak. 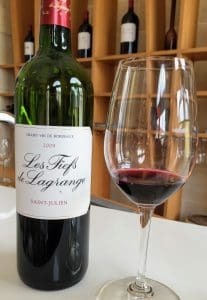 In 2008, the blend was 57% Cabernet Sauvignon, 30% Merlot, 8% Cabernet Franc, 3% Petit Verdot and 2% Malbec with around 15,100 cases made. A lot of cedar cigar box notes in this wine. Medium-plus intensity nose. Very cigar box with tobacco spice and cedar. Underneath there is some red fruits like currant and plum. On the palate, those cigar notes carry through and bring an even more savory, meaty element. Medium-plus acidity maintains freshness and adds a little juicy element to the red fruits. Medium tannins still have some grip but are rather mellow at this point. Moderate length finish ends with the same cigar box notes that have dominated this wine from the beginning. 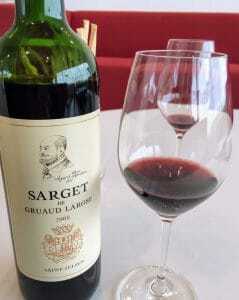 With the 2008 edition of the Grand Vin of Gruard-Larose going for around $90, the 2008 Sarget de Gruaud-Larose is a very solid second wine at around $35-40. It is a classic St. Julien that would certainly appeal to folks who like old school, savory Bordeaux. While the tannins are softening, the wine has enough acidity and structure to still be drinking well for at least another 3 years. Tagged 1855 Classification, biodynamic, Cabernet Franc, Cabernet Sauvignon, Ch. Brainaire-Ducru, Ch. Cantemerle, Ch. Chasse-Spleen, Ch. Citran, Ch. Ferrière, Ch. Gruaud-Larose, Ch. Lagrange, Ch. Lanessan, Ch. Larose-Trintaudon, Ch. Latour, Ch. Laufarie-Peyraguey, Ch. Margaux, Ch. Meyney, Ch. 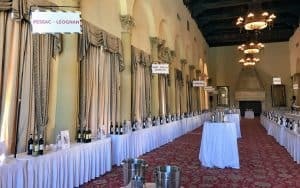 Talbot, Clive Coates, Clos des Jacobins, Cordier family, en primeur, Eric Boissenot, Georges Pauli, Grand Vins, Haut-Bages-Liberal, Haut-Medoc, Jeff Leve, Malbec, Margaux, Merlaut family, Merlot, Pauillac, Petit Verdot, Sarget de Gruaud-Larose, Sauternes, second wine, St. Emilion, St. Estephe, St. Julien, Sustainable Viticulture, Taillan Group, The Wine Cellar Insider.